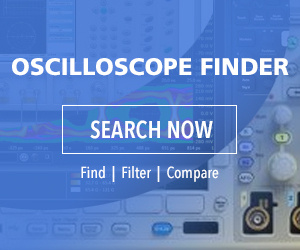 A trace capture and analysis solution handles the 802.3cd and 802.3bs 50/100/200/400GE four-level pulse amplitude modulation (PAM4) Ethernet specifications. With the new NET-T200-P4L-A license to the SierraNet T328, the platform enables higher data rates and enhanced reliability for future-generation data centers and cloud-based services. reduce link-interoperability problems between major fabric components such as switches, routers, network interface adapters, servers, and Network Attached Storage (NAS). By capturing and decoding the auto-negotiation and link-training sequences, the SierraNet T328 with the NET-T200-P4L-A license enables network and design engineers to troubleshoot 50 GbE through 400 GbE connectivity issues today. Teledyne LeCroy’s patented TAP4 passive probing technology enables this PAM4 solution by passing the data stream without interruption. Probes that terminate the signal don’t offer a view into the component to component negotiation sequence. “As an industry leader in the data-center market, Hewlett Packard Enterprise (HPE) is keenly aware of the need for high reliability and zero downtime in the enterprise data center. We have extremely high standards, and the Teledyne LeCroy SierraNet T328 is an important part of our meticulous design and validation processes that are dedicated to assuring the complete interoperability of our products within the data center,” said Perry Hoffman, Master Technologist at HPE. “By providing real-time trace capture, decode, and analysis of the auto-negotiation and link-training functions, the SierraNet T328 has become the de facto standard for high-speed protocol analysis in development, debug, and test applications,” stated David J. Rodgers, Ethernet and SAN Product Line Manager at Teledyne LeCroy. To learn more about Teledyne LeCroy’s SierraNet T328 and support for PAM4, contact Teledyne LeCroy (1-800-553-2769) or visit Teledyne LeCroy’s website at teledynelecroy.com.